Most of us look at the eyebrows as a patch of hair that has an aesthetic purpose and it is often shaped for cosmetic purposes. 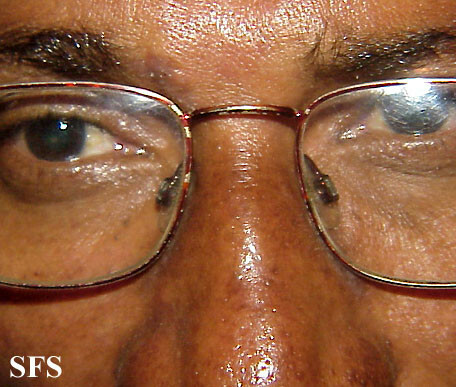 Although the exact purpose of the eyebrows is not conclusively understood, it is believed to be prevent water or sweat from falling on to the eyes itself. For most people its function is of little concern compared to its cosmetic purpose. As with hair anywhere on the body, eyebrow hair and the follicles from where it arises can be prone to the same diseases and disorders which may lead to hair loss.. Hair loss on the eyebrows can be partial where the hair falls off in patches or the eyebrow thins and shortens abnormally. It may occur on one side or both sides. It can also be complete where all the hair on one or both eyebrows are lost. These patterns of eyebrow hair loss can give some indication of the underlying cause even when there are no other symptoms. Some of these conditions may be specific to the eyebrows (the hair follicles and skin in that region) or can be an extension of problems affecting surrounding skin like the face, forehead or scalp. Contrary to popular belief, hair does not grow continuously but actually grows in cycles. It starts at the follicles which are embedded in the skin and the visible part, the shaft, is a consequence of active growth at the follicles over time. The living part of the hair in the skin has blood and nerve supply while the hair shaft is made up of dead cells and protein and does not have a blood or nerve supply. Therefore it can be easily cut without any bleeding or pain. It is important to understand the phases of hair growth which play an important role when in further understanding some of the causes of hair loss. During the active phase known as anagen the cells multiply at the follicle and push out to form the shaft. It is followed by a transitional phase known as catagen where the outer layer of the hair shrinks and it becomes attached to the root. Thereafter there is a resting phase known as telogen where there is no growth or changes in the hair. The different phases may last for varying periods of times from several years in anagen, to a few months in telogen or several weeks in anagen. Fortunately not all hair follicles are in the same phase at the same time. So the majority of the follicles will be in anagen phase, while a smaller amount will be in the catagen phase and a few follicles will be in the telogen phase. This ensures that there is always some hair present even when the follicle is not active and the hair is not growing. A number of skin and hair disorders can lead to eyebrow hair loss and sometimes it may be linked to systemic diseases like lupus. Specific skin and hair disorders that are most likely to lead to eyebrow thinning and hair loss have been discussed below but other conditions like psoriasis may also be involved if it occurs on the eyebrow or forehead. Eyebrow hair loss may occur in people on chemotherapy (cancer medication) and with radiation therapy to the head. Telogen effluvium is a condition where a large number of hair follicles enter the resting phase known as telogen. As these hairs may fall off, it is not replaced with new hair at the same area and this leads to a bald patch on the eyebrows. A number of hormonal factors (like with hypothyroidism and pregnancy) may be responsible and it is also related to certain diseases, nutritional deficiencies, chronic medication use and even metal toxicity. It is now also known that stress can push many more hair follicles than normal into this phase. Contact dermatitis causes skin inflammation and when severe it can affect the hair follicles as well. It can either be due to some irritant making contact with the skin of the eyebrows or due to a substance to which a person has an allergy. This gives rise to the two types of contact dermatitis – irritant contact dermatitis or allergic contact dermatitis. Substances that could cause contact dermatitis at the eyebrow includes eye makeup including eyebrow pencils, hair removal creams and waxes, other cosmetics, hair dyes and scalp hair styling products. 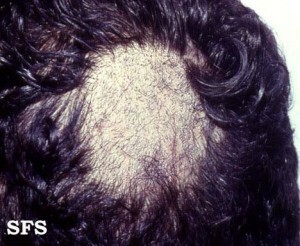 Alopecia areata is a patchy hair loss associated with immune disturbances. In this condition the immune system attacks the hair follicles thereby impairing hair growth. It is more likely to occur in people with other immune-related disorders and has also been linked to psychological stress as well as with certain drugs like some types of ARVs used for HIV treatment. Alopecia areata does not only affect the scalp as commonly thought. 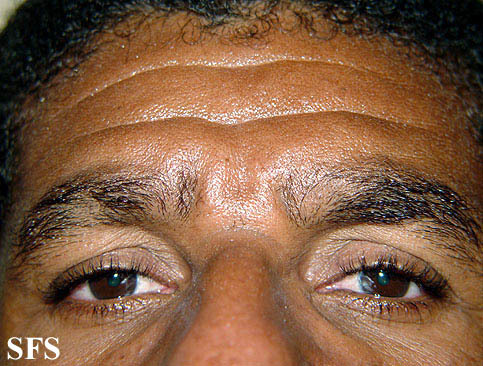 The eyebrows and beard area, as well as hairy parts anywhere on the body may be affected. Skin infections can cause hair loss at the affected area. One of the more common causes is a fungal infection of the skin, also sometimes referred to as a ringworm. Eyebrow fungus is more likely to be related to a scalp fungus (tinea capitis) and both areas are often affected at the same time. A bacterial infection is another possible cause. Folliculitis for example is a condition where the hair follicle becomes infected usually with bacteria like Staphylococcus aureus. Eventually this can lead to loss of the hair in the infected follicle. Trichotillomania is a hair pulling disorder associated with anxiety, stress, depression, boredom and frustration. It is where a person manually removes hairs with their finger, either a few strands throughout the day or sometimes many strands at one time during an emotional outburst. This behavior is usually a means of coping with stress or emotional turmoil. However, it can sometimes become a habit that is difficult to break. The eyebrows is a commonly targeted area as is the scalp. Changing the shape, thickness and length of the eyebrow is a commonly practiced beauty technique. Some people even remove the eyebrow entirely only to replace it with a pencil-drawn mark (eyebrow pencil). As with any part of the body, repeated irritation can eventually lead to hair loss. Sometimes this is due to manual trauma, chemicals from cosmetics or even infections that arise when breaks in the skin occur. While eyebrow modification will not stop as a commonly practised beauty technique, it should at least be minimized.